In the fifth of a set of daily League1 Ontario 2016 Awards announcements leading up to the L1O Awards banquet on Sunday November 27, the 2016 Golden Boot winners have been revealed, featuring two outstanding performers from the 2016 season. Although the winners of these particular awards are strictly determined by the cumulative goals scored by an individual player, and as such the winners have been known for some time, the winners had not yet been declared formally. 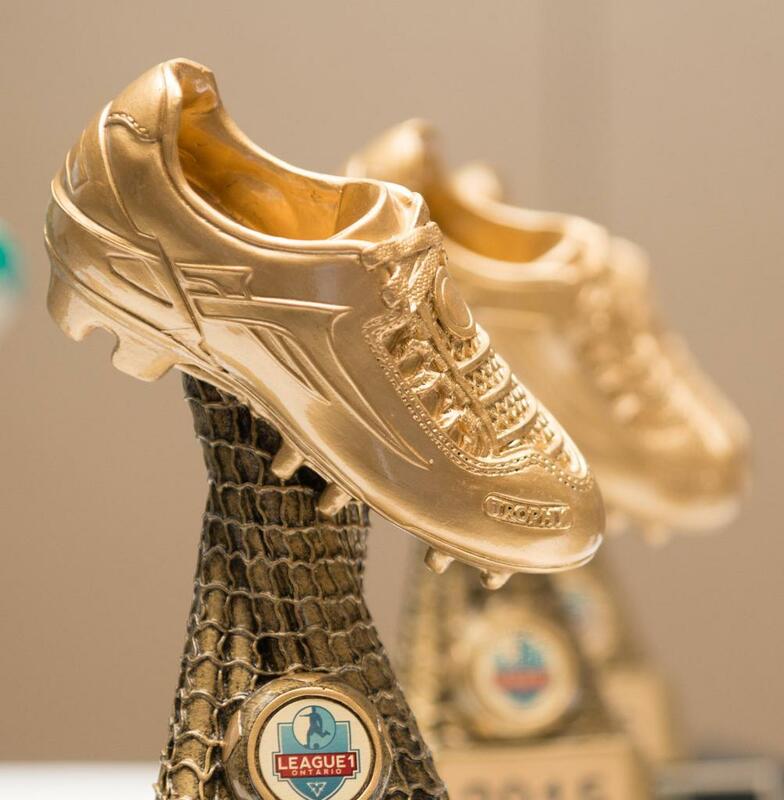 Please congratulate FC London's Elvir Gigolaj and Jade Kovacevic for their respective achievements, deserved winners of the 2016 League1 Ontario Men's and Women's Golden Boot Awards! Elvir Gigolaj was the goal-scoring talisman for FC London in their debut League1 Ontario season, coming out the gates with nine goals in his first ten matches. Gigolaj didn't ease off from there either, bagging three hat-trick matches and two other braces in the season, and finishing 2016 with 24 goals from 1,708 minutes - good for a goal every 71 minutes of play. The central forward rarely took a rest, playing full 90 minutes shifts in all but four of his 21 league appearances. 24 year-old Gigolaj's Golden Boot achievement comes on the back of an impressive resume in the game, having played PDL for London in the past before spending two seasons in the NASL at FC Edmonton, and ten months in Germany with Hertha Berlin's reserve squad. Congratulations to Elvir Gigolaj on the 2016 Men's Golden Boot! 22 year-old Jade Kovacevic blazed a trail to the 2016 Women's Golden Boot with 26 goals in 1,407 minutes played over 16 matches - good for a finish every 54 minutes. With 14 goals to spare between herself and the nearest competitor in the goalscoring charts, it is easier to look at the matches that Kovacevic didn't score in. Only four teams found a way to keep the central forward off the scoreboard in single matches, with North Mississauga actually managing the feat twice. But Kovacevic would simply go on to find the goals in other matches, bagging three hat-tricks, a four goal game and finally a five goal game before the season was out. Kovacevic was also a force of nature in the L1 Cup, scoring three goals in two matches to guide her team to the semi-finals. 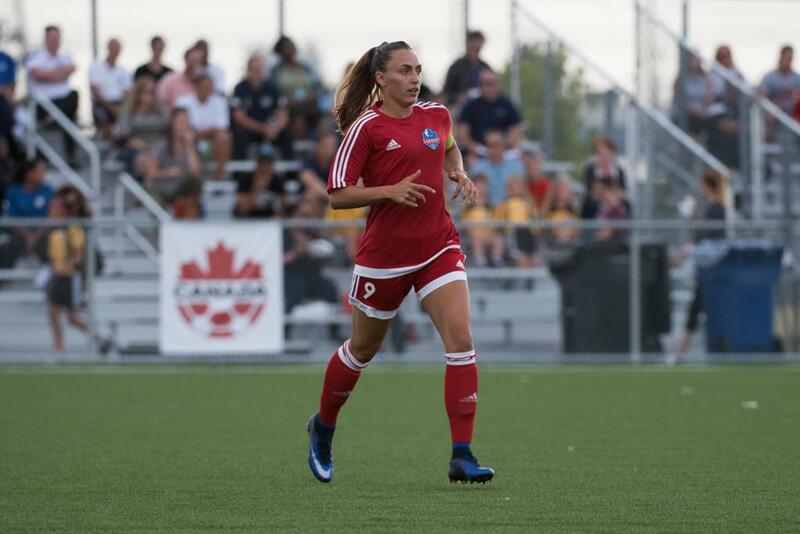 A former member of the Canadian national team program in her teens, one hopes that Kovacevic's remarkable scoring prowess is once again noticed at the international level. Recognition has poured in from other quarters already, with Kovacevic being named the Ontario Colleges Player Of The Year in 2016, a Canadian Colleges 2016 All-Star, and short-listed for Canadian Colleges Player Of The Year. Congratulations to the FC London's Jade Kovacevic, deserved winner of the 2016 Women's Golden Boot!